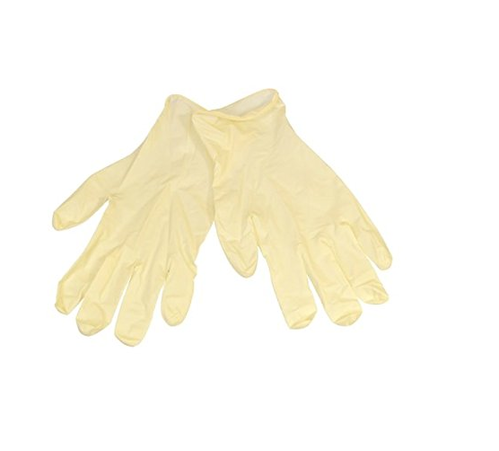 With our commitment to producing international standard quality products, we have been manufacturing a qualitative range of these Latex Rubber Gloves for our large client-base. They are manufactured using non-toxic chemicals and in free and hygienic environments. These are widely used for preventing granulose and allergic reactions as these are pre-powdered with bio-absorbable cornstarch and for reducing non-latex residues respectively. These are highly inspected for their safety for doctors and patients. They are quality packed to ensure their safe delivery till the customers end. M. S. Surgical established in the year 2007. We are engaged in supplying, exporting, manufacturing and wholesaling of various products like Surgical Gloves, Gynecology Kit, Respiratory Products, Urology Products etc. We are an ISO 9001:2008 Certified Company. These products are widely used in different medical organizations like hospitals, clinics, nursing homes etc. These products are made as per international quality standards and gained credibility in the market. Our products are made using premium quality raw materials which are procured from faithful vendors and adopt stringent quality measures to ensure the consignments in time. We offer superior range of products and achieve bulk demands of the clients in the market. Under the guidance of our mentor, Mr. Sanjay Sharma, has in depth knowledge and vast experience who helped us to achieve great heights in the industry. Our quality checkers ensure that these are stringently tested on strict parameters before being dispatched to client’s premises. Widely accepted among our clients for their optimal quality and enhanced services life.